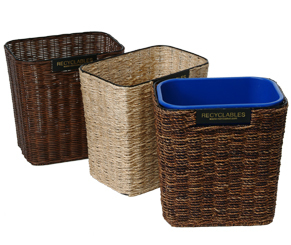 Disguise those unsightly blue boxes by choosing these handsome woven sleeves in either Havana, Rope Weave or Wicker. Going green never looked so good! Medium L15" x W9" x H15"
Large L15.5" x W10.75" x H15"